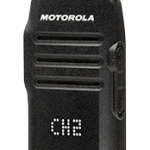 Motorola has created a wide range of broadband solutions for organizations with types of communications needs. 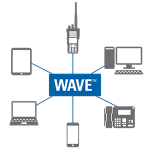 WAVE Work Group Communications is a PTT platform where all your disparate devices and networks are unified, enabling you to communicate between smartphones, computers, radios, landlines and even pagers. The WAVE Work Group Communications platform empowers you to leverage broadband and bring more secure push-to-talk capabilities to the smart devices people across your organization are already using. 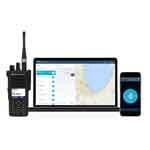 The WAVE platform also enables you to connect radio systems to enhance real-time communications, response times and productivity. 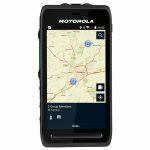 Whether your employees are at home, in the office, out in the field or even in a different time zone communication has never been more seamless, streamlined and integrated. If you’re one of the organizations who has embraced the cloud, you’ll be happy to know that WAVE Work Group Communications also has a subscription model, cloud-based option that enables your teams to communicate between any devices without traditional, on-premise equipment. Want to know more about WAVE Work Group Communications? Get in touch. We’re happy to help.